Your job probably isn’t robot-proof. 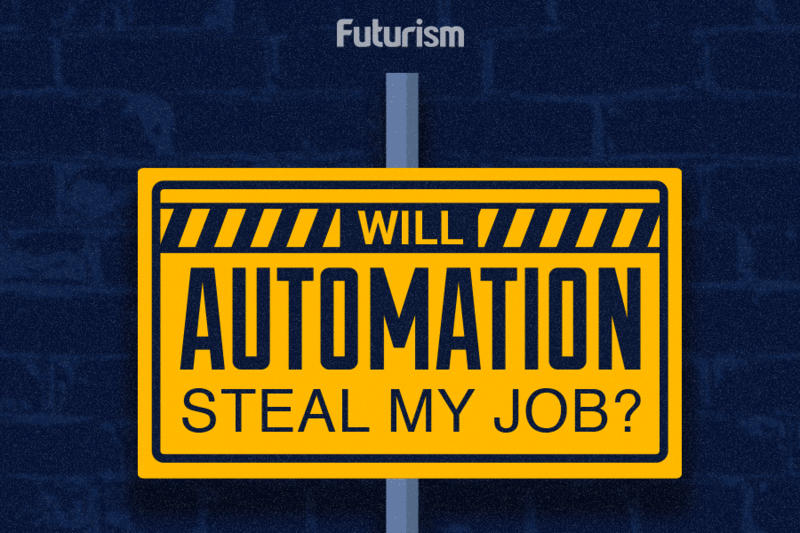 Much has been said about how automation will affect employment and the economy. In almost every conversation, the looming threat of job displacement is focused on a very specific sector: the blue-collar job market. One frequently cited study published back in 2013 by Oxford University and the Oxford Martin School says that 47 percent of jobs in the US will be automated in the next 20 years. In Canada, a study conducted by the Brookfield Institute for Innovation + Entrepreneurship says that 40 percent of jobs in the country will be taken over by machines in the next decade or two. In the UK, they’re predicting that 850,000 jobs will be automated by 2030. And in Southeast Asia, an estimated 137 million workers are in danger of losing their jobs in the next 20 years. These predictions are premised on the fact that machines are now more than capable of completing repetitive jobs that most blue-collar human workers are handling today. But technology isn’t going to stop there. Artificial intelligence (AI) is getting more sophisticated, implying that it’s not only the jobs defined by formulaic processes that are in danger, but also creative, service and knowledge-based professions. “We are starting to see in fields like medicine, law, investment banking, dramatic increases in the ability of computers to think as well or better than humans. And that’s really the game-changer here. Because that’s something that we have never seen before,” says Sunil Johal, a public policy expert for CBC News. Granted, the implications of more intelligent automation on “white collar” jobs are all speculative at this point. There’s little data to support how much automation will affect that job market, mostly because experts believe its impact will be far more subtle than in blue- collar industries. In white-collar industries, there’s more opportunity to shuffle employees around, or slowly phase out jobs, which means the threat of automation won’t be as dramatic. That being said, it will change things. Johal believes that to keep up, one must actively develop new skills that will adapt to the changing needs of the job market.